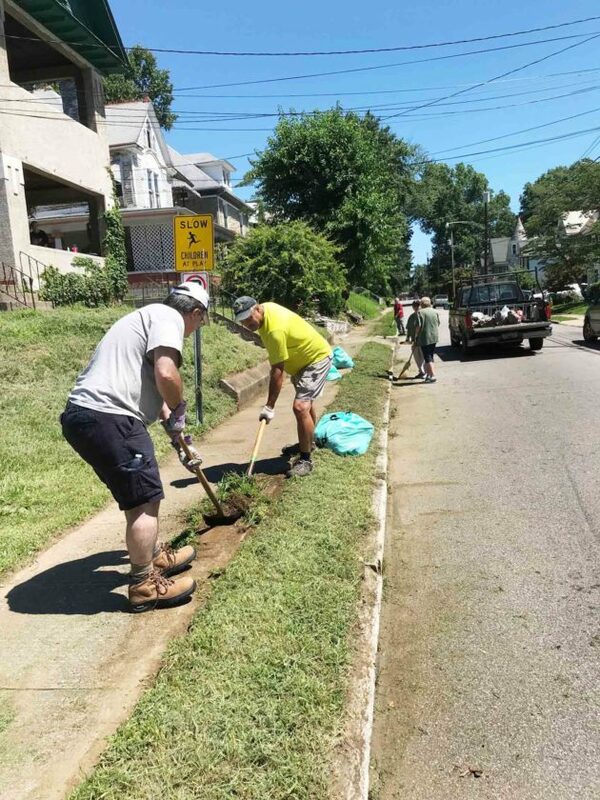 PARKERSBURG — A group of volunteers weeded, edged along sidewalks, removed dirt from sidewalks and picked up trash along Avery Street on Saturday. 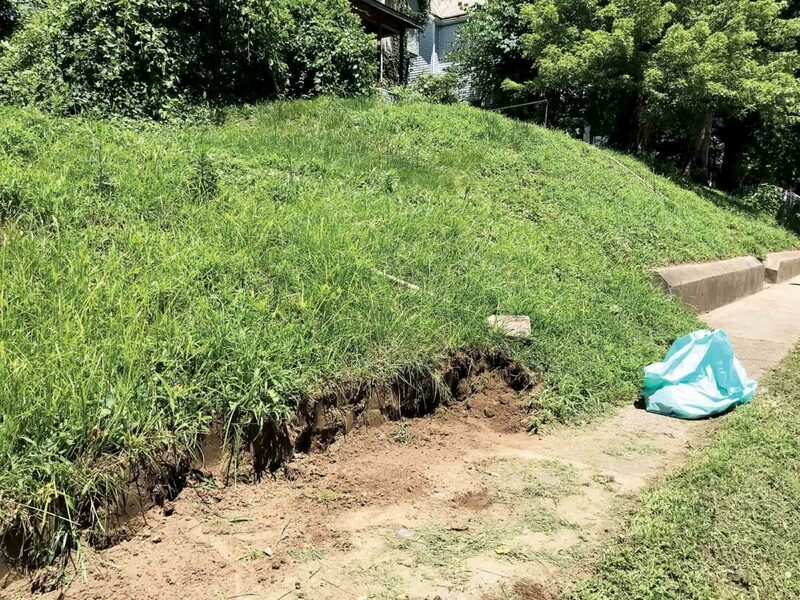 The Avery Street Historic District residents, including a city councilman, hope this initial effort to clean up and beautify a downtown area spreads to other neighborhoods in Parkersburg. The volunteers worked from 13th to 16th streets on Avery Street. The fruits of their labor filled many trash bags that lined the street on Saturday. 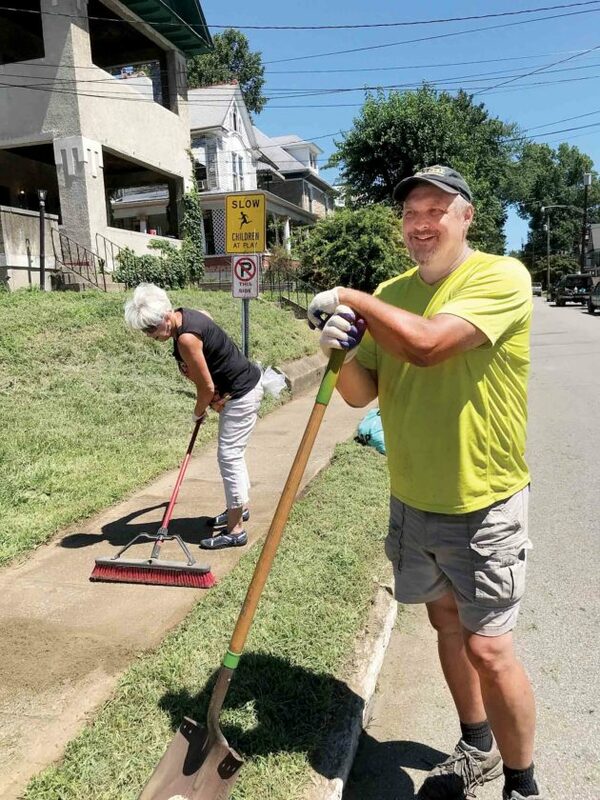 Plans call for the district volunteers to continue their cleanup on Market Street from Seventh Street to 19th Street in August and on Quincy Hill in September, said Seth Cressey, secretary of the historic district organization, which is in the process of being reorganized. A large amount of dirt was removed from sidewalks on Saturday, allowing wheelchairs and people walking to more easily navigate the walkways. A lack of retaining walls had allowed dirt to slide off hillsides onto sidewalks. Parkersburg City Councilman J.R. Carpenter, who lives in the Avery Street Historic District and worked during Saturday’s cleanup, said he hopes the Avery district effort “catches fire and starts a domino effect” in other sections of the city. 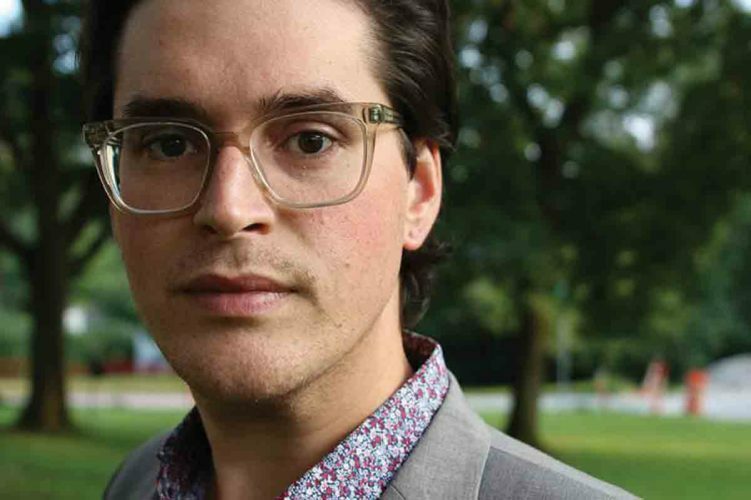 “We want to spark interest a few blocks at a time,” he said. The Avery Street Historic District has many plans in the works to improve its area. The district is “roughly bounded” by 19th Street, Spring Street, Quincy Street, Eighth Street, Market Street and 13th Street, according to a city official. Terri Miller noted that the Avery Street Historic District is getting reorganized with a goal of improving the neighborhood. Maintaining clean streets and properties is one way of improving the area, said Miller, who was participating in Saturday’s cleanup. The Avery Street Historic District is meeting at 7 p.m. Thursday at First Baptist Church, 813 Market St., to discuss goals and plans for the district. The meeting is open to anyone to share ideas on neighborhood improvements and programs. Goals of the Avery Street Historic District include improving and preserving the historic district, getting young people to move to the district, and protecting the old homes, which can be purchased for low prices, Cressey said. “Our mission is to drive a positive change in the Avery historic district (Avery Street, Market and Quincy). Beautification, gentrification, safety and historic preservation is our bottom line,” Cressey said in an email. Cressey said the group will have its 501c3 nonprofit designation by this year. The National Register of Historic Places designated Avery Street as a historic district in 1986. 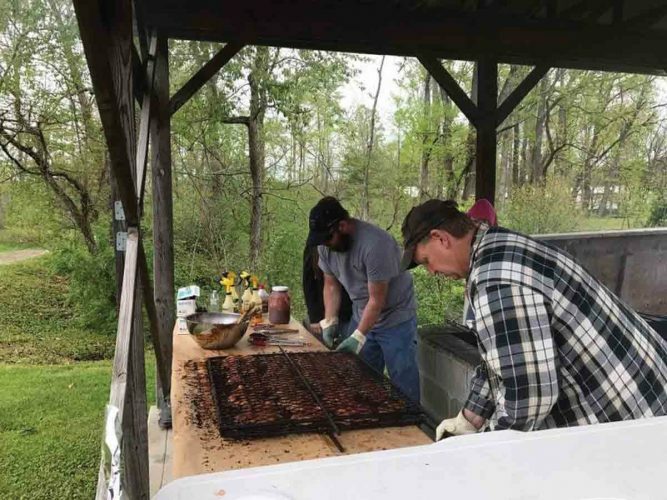 Beginning in May, district residents and members of the community began a grassroots effort to restore the historically significant neighborhood, said Fuchsia Saarinen, who is leading this effort. Saarinen said 12 historic architectural styles have been identified within the Avery Street Historic District by a survey team. The Avery Street Historic District association hopes to revive the neighborhood as a treasured historic district in Parkersburg, Saarinen said. 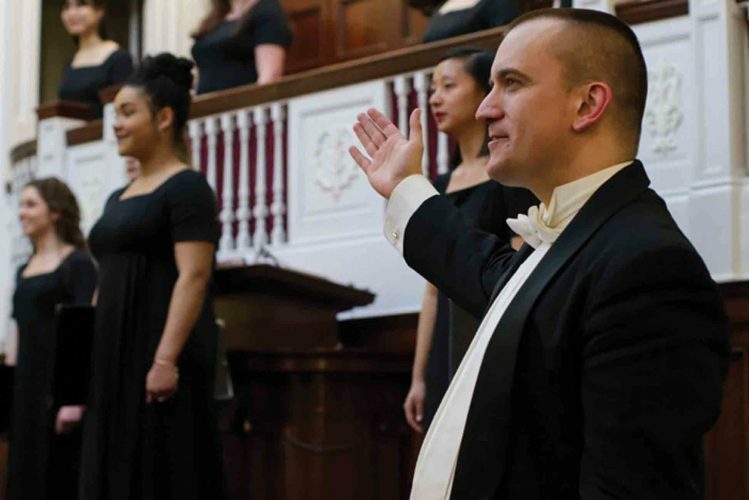 The organization meets on the second Thursday of each month at 7 p.m. at First Baptist Church.